Susan got her first Kindle in 2007 and her Amazon Echo in 2015. She enjoys sharing her interest in geeky electronic devices with others. 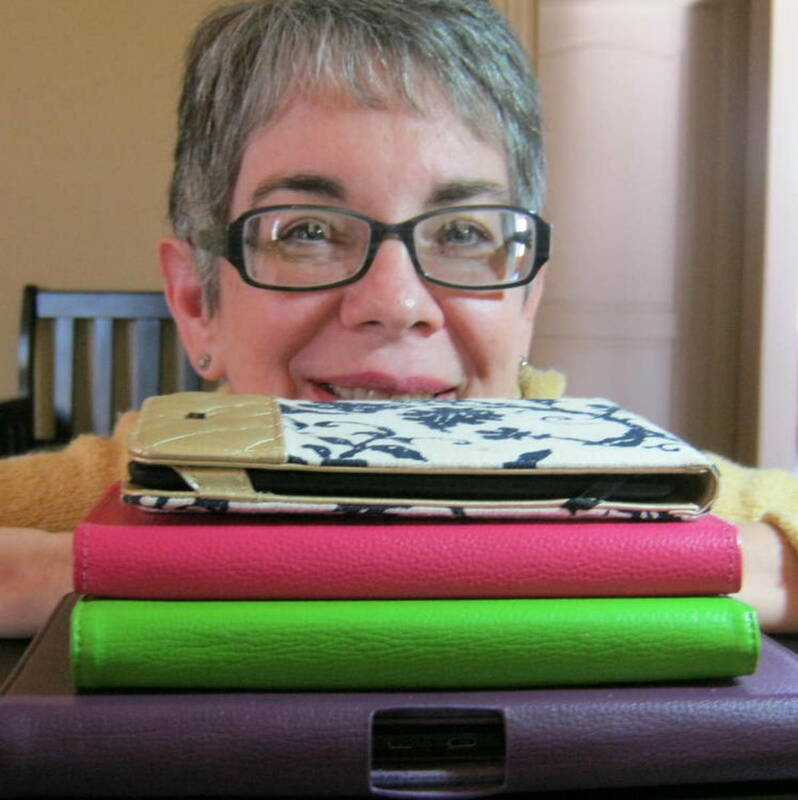 The author with her stack of Kindle readers and Fire tablets. Thinking of buying a new Kindle as a gift for yourself or for someone else? Smart move! Not sure where to buy a Kindle or which one to buy? Let us help you choose! 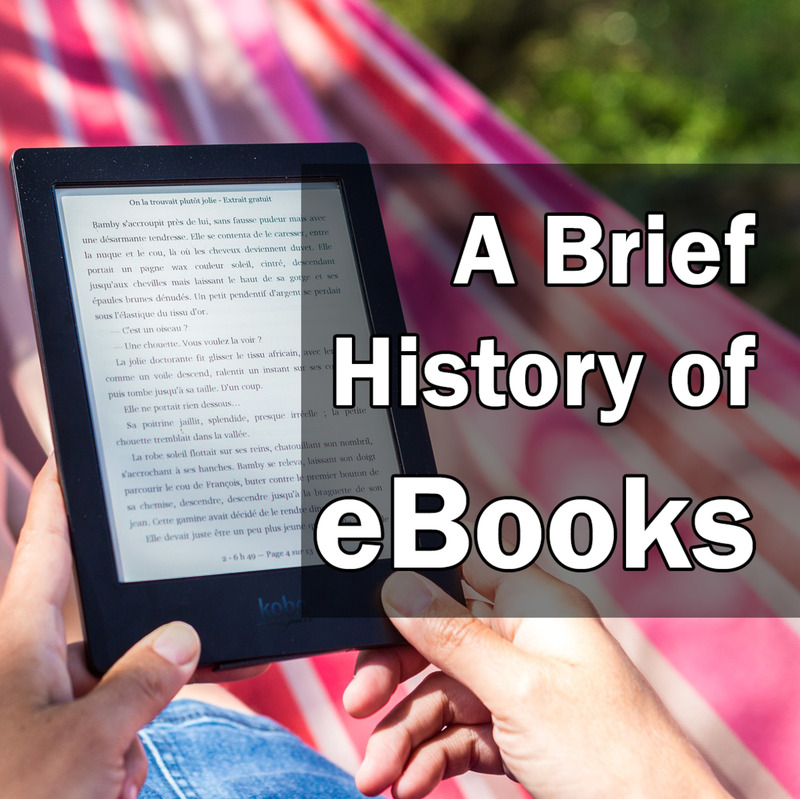 Even if you're still comparing e-readers and haven't made up your mind yet, we have the information you need to know and answers to your questions about buying a Kindle. 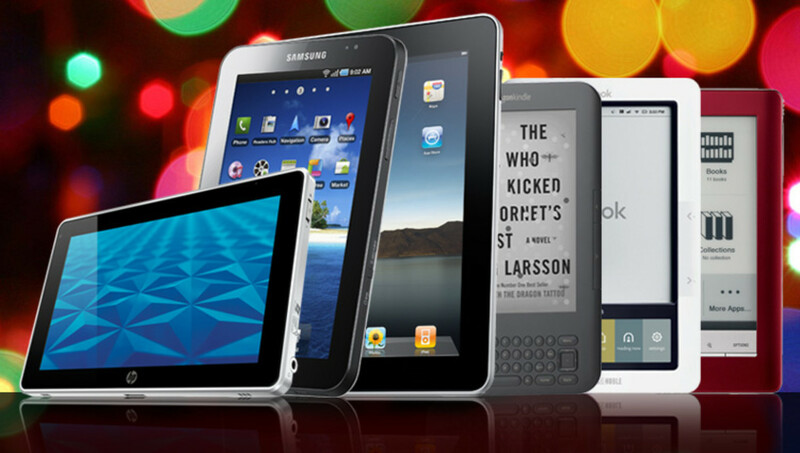 If you're buying a reader or tablet for yourself or as a gift, we'll help you choose the best model. We'll also tell you how to buy or borrow ebooks - and where to find free ebooks. We'll offer other tips and recommendations, too, based on our experience as a long-time Kindle owner. A new Kindle or Fire would be great surprise for a college student for school, for a frequent traveler, or for anyone who just loves to read. Any model is easy to buy as a gift and Amazon will walk you through the steps on the order page. More questions? Keep reading to find answers. Our goal is to help make your buying experience an easy one. Ready to Buy? Looking for a Kindle Sale? Use this link to see which devices are on sale today. Will you upgrade to the new Kindle Oasis? Absolutely! I'm always an early adopter. Probably not. I'm happy with the Kindle that I have. Maybe. I'm still thinking about it. No. I prefer paper books. Are you shopping for a Kindle for yourself or for a gift? I'm shopping for a Kindle for myself. You'll find Daily Deals, support, and more. Get quick answers to your Kindle questions here. Where should I buy my Kindle? While it's now available in several office and department stores, you'll find all the current Kindle models, with comparison charts and a full list of features, in the Kindle Store (link is above), which is where I recommend you buy because it's where you can expect the best customer support. Amazon has a reputation for excellent customer service and if you ever have a problem, there are trained people available to help. Plus the Amazon site has great Q&A and Kindle chat areas where you can find answers or ask your own question. On each Kindle model's page you'll see a "buy" box similar to the one pictured here. Another reason to buy directly from Amazon? When your device arrives, it will be all set up for you with any books or other items that you've already purchased. There's just nothing easier than getting started with a preregistered Kindle from Amazon, and I know that from personal experience. Where can I get Kindle gift cards or gift certificates? To give a gift card or certificate for a Kindle, go directly to the Kindle store and look in the left margin of the page. To give Kindle books as gifts, simply choose "Give as a Gift" on any Kindle book page. Where do I go to buy Kindle books? Once again, the Kindle store has you covered. You'll find Kindle newspapers, magazines, and blogs there too. Once you've placed the order for a Kindle reader or Fire tablet you can choose books and they'll be loaded and ready when your device is delivered to your door! Of course you can add books anytime after you have your reader. Where do I find free Kindle books? You'll find free ebooks listed in the Kindle bookstore with the bestsellers for each category. Is it true that Kindle doesn't come with a case? Yes, and we definitely recommend a case, cover, or sleeve for every model to best protect your investment. There's a huge selection (you guessed it) in the Kindle store. Check the customer reviews then choose something you really love. You can even design a cover yourself! So, bottom line question, which Kindle should I buy? Bottom line answer, it depends! In my opinion, if you want to simply read books and do very little online activity, you have two choices. The simple Kindle reader is an excellent bargain and may be all you need. You'll probably want to buy a light, though, so choosing the Kindle Paperwhite (see it below) might be a better choice. In fact, this model is now a hugely popular bestseller. I have one and I love it! It costs a little bit more but is still very affordable. Your budget and whether or not you'll need a lighted screen will be the deciding factors. Now, on to the tablets, now simply called Fire. If you want to watch movies or play games and interact with others or surf the web, that's when you need to look at the new models of the Fire (also featured below). I own a new Paperwhite for reading and now three Fires (the newest under $50 model, the original 7-inch wi-fi version, and the 8.9-inch HD 4G LTE version so I can use it on the go) and use all of them, just depending on what I want to do (read, play games, check email, watch movies). My recommendation? The newest models are faster and clearer. My prediction? You're in for an awesome treat! There's no reason to spend more to get a better Kindle model if you don't need it. The $79 basic Kindle is an awesomely wonderful reader if that's all you need. By the way, on the models where you can choose to buy with "special offers," I recommend you do that to save a little bit of money. The ads you'll see on the screensaver are often quite good, but they're also very non-intrusive to the reading experience. Might as well save a few dollars up front and possibly save more with a special offer later. You'll meet several members of the Kindle family of e-readers and tablets and read my reviews as you scroll down this page. Also, each of the e-reader sales pages at Amazon.com has a comparison chart to compare Kindles. That's a great place to see exact specifications for each of the models, which will help you make the best decision. The latest Paperwhite (which I own and use daily) is still in wi-fi only or with 3G and is still an excellent choice. Click on the picture to compare features with the new, top of the line Kindle Voyage reader. Customers love it! 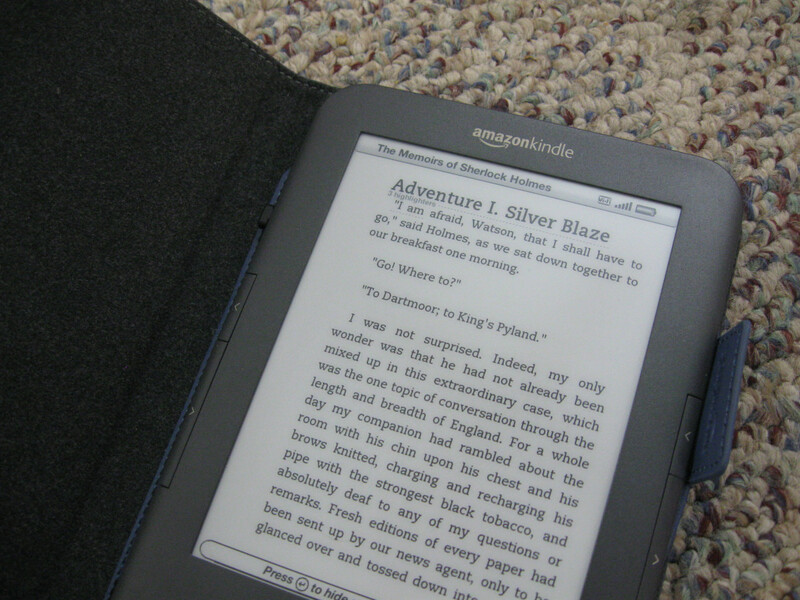 The Latest Generation Kindle Paperwhite - With lighted screen. This is the very popular, innovative model of the Kindle e-reader with the built-in lighted screen. A best-seller, the screen is actually lit from above, not backlit (like the color Kindle Fire or a typical tablet), so it's easy on the eyes. The latest generation model has a faster processor with quicker page turns, as well as a browsing function that allows you to flip through pages or chapters without losing your place. It's also available in your choice of either white or black. Cool! The technology of the lighted screen makes it easy on the eyes, very important for people who love to read for hours on end. Choose the wi-fi only version or the 3G version, which means you can buy and access books on the go. And, as is true with all the Kindle models, no contract required! This is the Kindle I do most of my reading on, every day. Love it! Which is the Best Kindle for Reading Outdoors? If you'll be doing your reading outside, perhaps by the pool or even on the porch, choose one of the Kindle readers (the simple Kindle, the Paperwhite, or the Voyage) rather than a tablet. I've tested mine in bright sunlight and, it's true, there is no glare with the readers. Since the Fire tablets have a reflective screen, you will get glare and won't be able to read well except in the dimmest outdoor light. What about iPad? We'll help you choose. If you're thinking about buying a Kindle for yourself or for a gift, you might also be wondering about the other ebook devices. Rather than a full-blown comparison of the Kindle to iPad or other tablets (many models seem to come and go), here are some reasons that you should choose Kindle over the other devices, as well as situations in which a different device might be a better choice. The Kindle is small and lightweight. Many thousands of Kindle owners use Kindle to hold their vast library of books in order to free up space on their bookshelves and in their pockets or purses. Rather than hauling heavy books with them wherever they go, it's so simple to stow a Kindle for a trip to the doctor's office or a vacation around the world. The Kindle's light weight makes it very comfortable to hold and read, and the Pearl technology e-ink is crisp, easy to read, and comfortable for long-term reading. There's also no problem with glare when reading outside - at the beach or the bus stop. What about a color e-reader? 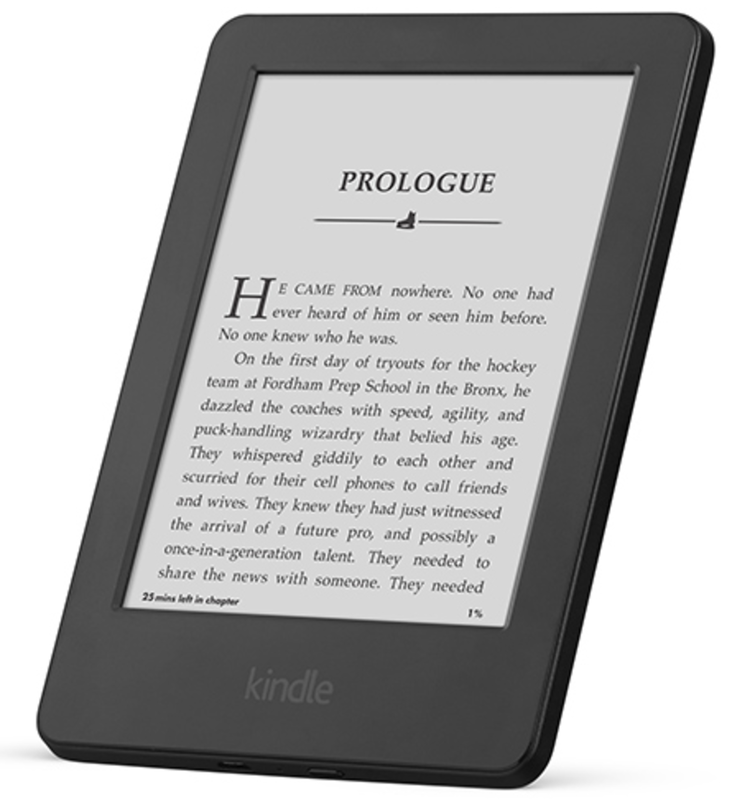 Kindle's content is displayed using amazingly clear e-ink Pearl technology in multiple shades of gray. 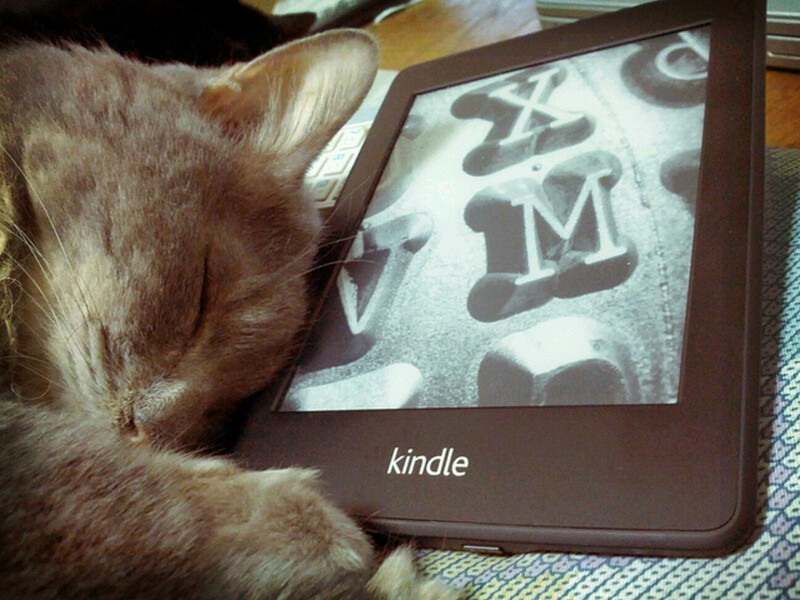 For serious readers, we think you'll probably prefer one of the regular Kindle readers. But if you're looking for an e-reader and entertainment device, check out the full-color Kindle Fire tablet. How about the iPad? The first issue with the Apple iPad is the price; expect to spend $600 and up without the monthly data plan (if you need that - and if you have an iPad, you probably do want internet access and, thus, a data plan). It's true that the iPad screen is beautiful and impressive, but the backlit screen is hard on the eyes, so not good for those who read for hours on end. An additional factor is the size and weight. If carrying a larger device is no problem, consider holding a heavier device while reading for a long period of time. If your eyesight doesn't fail you, the strength in your wrists might. It's hard to imagine that a few ounces can make that much difference, but one of the biggest complaints among iPad owners is that they get tired from holding it. Need internet access and want one do-it-all device? Then the Kindle Fire is definitely for you! The Kindle reader. A perfect holiday gift! An excellent choice for people who simply love to read. Don't let the low price fool you. This is the basic Kindle model, but it's a beauty and is absolutely perfect as a dedicated e-reader. It would be great for a young reader, but with its adjustable font size it works well for older eyes, too. 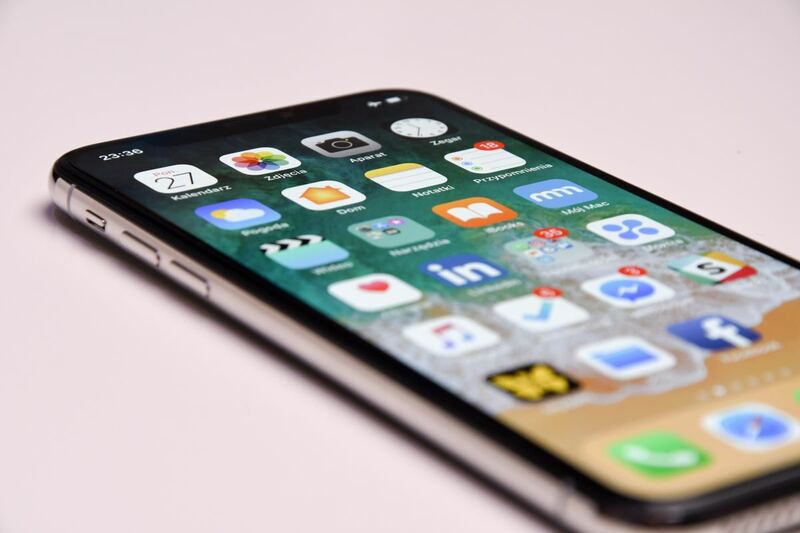 And the current version includes features such as the new touchscreen that makes navigation a breeze, faster page turns, and twice the storage as the previous version. When you order you'll receive the Kindle and the USB charging cable. You'll probably want to add a case for safe-keeping and possibly a reading light. Can I Borrow Kindle Books From the Public Library? Yes you can! Well, probably. Your library must participate in the lending program, but most public libraries across the country do. Books eligible for lending/borrowing are clearly marked on their Kindle product page on Amazon. If you're looking for a dedicated reader, then my advice is to stick with the Paperwhite, the Voyage, or the simple (but awesome) $79 Kindle. However, if you want an amazing full-color display, movies, apps, games, music, a super-fast web browser, AND reading, then one of the Kindle Fire models would be my recommendation. If you love colorful magazines, children's books, or graphic novels, then this is the Kindle for you. Oh, you can also read regular books on the Fire, too! Know what I like best about the Fire? No contracts and no monthly fees! (That's true with all the Kindle models, by the way.) For the Fire, I absolutely do recommend that you go with an annual subscription to Amazon Prime. That's the service that includes free 2-day shipping on all of your qualifying Amazon orders but also includes unlimited instant videos (over 10,000 movies and TV shows) and tons of music at no extra cost. Quality on all of these is awesome (did I mention how much I love mine?). All of the current Fire tablet models are accessible from the product page linked below or any of the "Buy Now" buttons on this page. This is the latest generation Fire tablet, the "cheap" one at just under 50 bucks, and I can't say enough about this. I absolutely love mine and use it daily. In fact, it's my favorite Fire tablet yet (I have two others). It's an awesome tablet for its size and a super buy, but don't overlook the other choices. You might prefer a more powerful tablet, especially if you do a lot of gaming. Storage, though, isn't a problem as this new version can hold a memory card to expand onboard storage. The current models are all on display at the orange Buy Now link below. There's a features comparison chart on each product page, too, that's very helpful to be sure you're choosing the best tablet for your intended purpose. My advice? Buy as much as you can afford in the size that you prefer. That sounds vague, but consider how and where you'll be using it and how you'll be carrying it. The large screen version is awesome, but the device is definitely bigger, so the 6 or 8-inch model might be a better choice for you. Buying for a child? Definitely consider the Kids Edition, worth the price for the warranty and additional features. Details and comparison on all of these tablets at the buy link below. Great idea and yes, Kindle does have textbooks! Look under "Popular Features" on the Kindle store page to learn about buying or renting electronic textbooks on Kindle. Kindle Unlimited: Recommended! Subscribe and read for free. With a Kindle Unlimited subscription, you'll be able to borrow a large number of Kindle books (including this one that has about a bazillion excellent reviews - okay, maybe not that many) to read for free - with no due date! Membership is just $9.99 a month (with a free 30-day trial). Many of the books available for Kindle Unlimited (and there are thousands of them) also have audio narration available, a terrific feature for those who like to listen to their books while they drive or just want to rest their eyes. It's a great program. Full details are available on the product page of any book that's included in the program. Who doesn't need a Kindle? If you've decided to buy a Kindle, you've made a fabulous choice. Tell us about it or ask a question in the comment section below. Daisy and me with my Kindle. Are You Buying a Kindle This Year? Need to Ask a Question? If there's anything else I can help you with, please let me know! ive been looking at all the ereaders and kindels and im a bit confused by all the difference, im looking for audio books and earphone acceptance and some free books, maybe that dont cost arm and a leg. to buy, reading for long peroids of time is hard on my eyes, and listening to the books is so much more engaging for me. was looking for some imput on how others feel about these devices. and help my confusion up. I would like to buy one for my daughter who has dyslexia, is there audio version that she could have with blue tooth capabilities so she can listen and be free of wires? I have an older(2nd gen?) iPad w a very cracked screen wh I’ve replaced twice..and a kindle paper white (I think) with an annoying ding in the screen. I use my iPad rarely..mostly for NETFLIX etc. Occasionally to read ebooks. I don’t know where to start with a new iPad and/or kindle! I like me having both. Am “thinking” about an Oasis..just confused! It's too expensive although it does look amazing. I like that it has the page buttons and waterproof plus the connectivity without wifi. Lately I have been looking into buying the right kindle e-reader for me. I have zeroed-in on the basic 79$ version and the paperwhite which is going for 119$ on Amazon. I have heard some reviewers say that the ppi on paperwhite is twice as much as on a basic model. Do you think the difference in text and specially image quality on the two is worth this 40$ premium ? Not having screen backlight is not really an issue for me. What would your pick be ? Steve, sounds like any of the Kindle Fire tablets would work best for you since you want Audible and an earphone jack. Enjoy! I need a kindle that can download and play audiobooks, connects via 3g and will accept earphones. Which model do I need? Lida, yes, I think you'd be very happy with a Kindle Fire tablet. You'd certainly get the color (though remember that it may be hard to read in bright, outdoor light) and children's books look great on the Fire. I know many people who use their Fire as their computer, streaming news and movies, etc. In fact, my 87-year-old dad uses his for those things. Have fun! Hi Supriya. A kindle is a wonderful gift for anyone who loves to read - your husband is very lucky! I always suggest the Kindle Paperwhite first since it includes a lighted screen and is in a great price range. I think he would love the Paperwhite. Hope that helps! I want to gift a kindle to my husband. He likes to read books a lot. I am not getting which one will be best for him as I have never used kindle so no experience about it. Dana, I think you're referring to the text-to-speech feature that used to be available on Kindle readers. These days, a large number of e-books are available with the Audible feature, professional narration that you can add to the book, usually at a discount over the Audible version only. Audible is professional narration while the old text-to-speech just sounded like a computer pronouncing the words. In other words, it wasn't the greatest feature in the world. Look for books in the Kindle Store that have Audible available if you'd like for your Kindle read to you. Tessa, I'm so sorry you're having charge issues with your Kindles. My only real suggestion for you, since I'm not sure how your South African electrical systems compare to ours in the U.S., is that to extend battery power, turn airplane mode on. Now, that is only good for when you're not streaming something online (for instance playing a game), but if you're reading a book or even just watching a movie that you've already downloaded, turn that airplane mode on so the battery is not used so much. My Kindle reader's battery lasts for weeks when I keep it in airplane mode. Otherwise, I hope you can contact Amazon perhaps by email to get some resolution to your problem. Good luck! Hi D Wall. You should be able to find the Kindle Voyage at Best Buy or Staples or possibly even Walmart. Whether they have a working model you can try probably depends on the store. I've seen displays in Staples in the past, though I haven't looked recently. You might let your fingers do the walking (am I dating myself here? LOL) and call before you visit just to check in advance. Thanks for asking and good luck! .I'm considering replacing my early model Kindle with the Kindle Voyage. Where can I actually see the device and cases before I purchase from Amazon? Theresa, you are right that the early Kindles did have the ability to "read" books out loud. Unfortunately, that is no longer the case and no, the Kindle reader no longer has a headphone jack. However, an alternative I would suggest is a Kindle Fire tablet (or perhaps the Kindle app on her phone) used along with the Kindle Unlimited program (a subscription, currently about $9.99 a month). That program offers unlimited reading and listening with Audible, but within their catalog of over a million books, many with Audible narration. I think that with that large catalog you should be able to find a good selection of books/Audible narration for your daughter. There is a free trial of Kindle Unlimited, so hopefully you can check it out thoroughly and decide if it's worth the price. I am optimistic that it will be - and I really hope you find that to be true. Best of success with finding exactly what your precious daughter needs! I would like to buy a kindle for my visually impaired daughter. Before losing her vision she was an avid reader and not being able to enjoy a good book was probably the most devastating thing about her loss. We have since found audio books but they are very expensive and have a rather small selection for a girl her age (22) I have heard the kindles have audio. I personally have a Kobo which does not have audio. I have no idea what ones have this feature, your help would be greatly appreciated. Do they come with head phones or do you buy them seperately, do they even have a headphone jack? Thomas, you are so very welcome! Enjoy your Voyage - what a great choice! Thanks for the great comparison details, I just bought a Voyage after reading this! Hi Laila. Good for you having a daughter who loves to read! The basic $79 Kindle would be just fine for her unless you want to be sure she has a lighted screen (if she reads often in dim light) in which case I'd recommend the Paperwhite. You should be able to find many free books in the Kindle store that she would enjoy reading. Go ahead and browse through the book store (you can sort by price) to see the selection of free books. You'll probably need a credit (or debit) card to set up the account when you register the device. Perhaps you could use a prepaid credit card and provide her with a monthly book allowance and associate that card with the account so she could choose and buy a book from time to time. Wishing you both the best! I wanted to buy kindle for my daughter who has just turned thirteen and she loves reading books, which kindle would you recommend? I donot have a credit card do, i need to buy books for her online? ?or there are free books already downloaded?I mean do we have to by the Kindle device and then buy online ebooks?Please guide me on this regards as I know little about this device. Hi Mia. No, Kindle books can be read on any of the Kindle and/or Fire devices. Same version of the book, same exact price. Enjoy! To purchase books at the kindle price on amazon i have to have a kindle paperwhite or kindle instead of a fire tablet? That's my only question before I buy a device myself. . .
E, the basic Kindle reader does not have a lighted screen so a separate light is needed to read at night or in a dark environment. Thanks for asking! what is kindle reading light? Commence, I guess "expensive" is in the eye of the beholder. In my opinion, there's far more value in any Kindle or Fire model than meets the price tag. :) Thanks for stopping by! Ricky, the Kindle reads electronic versions of "real" books. Amazon's goal is to make every book there is available in electronic form and they're certainly headed in that direction! Is their a way to use the kindal for reading books too or only the internet? Tom, I'm not sure I understand the question. If it's through Amazon, you should be able to access the book on the Amazon website and enter the code at checkout. You should be able to do that with your 3G connection. On your Paperwhite home screen, look for the little cart emblem to get to the store. Hope that helps! How do you download a gift book code to a kindle paper white 3g. No wifi available. Thanks. Judy, it's so simple I can do it! Seriously, when I bought my first Kindle I did so because I had read the procedure was easy - and it was easy, and remains so. When you open the Kindle it will walk you through connecting to your home network. Beyond that, it's very simple to buy a book either from your computer or from the device itself, then watch it arrive on your device. Don't have a home computer network? You can use a 3G network (sort of like a cell phone) and connect that way. Or you can use the cable to load the book from the computer. I'm making it sound more difficult than it is. If you have a computer network in your home, it will be super easy to get the books on your Kindle. If you don't, you can just follow the directions to upload it from your computer. Amazon is excellent in walking you through that. Hope that helps and doesn't confuse you further! Sue, absolutely you can use the Kindle on buses. You can use it anywhere you want as long as it's charged up (and all the Kindle models hold a charge well). If you want to download books you'll need a wi-fi or internet connection (or 3G/4G), but yes, you can read it anywhere. Thanks for asking! Galka, I honestly don't know the answer to that. Touch screens seem to be the norm just about everywhere today (i.e. phones and computers), though, so I'd be surprised if Amazon will ever go with a non-touch screen again, though I'm sure you're not the only one who would appreciate that option. Perhaps they'll surprise us in the future. Thanks for asking! Hi! Is there a plan to re-release non-touch screen kindle paperwhite? it is the best and the simplest! Catherine, I certainly hope I can help! With the requirement for a built-in light and since you just want to read books, and because you want a mid-range price, I'd choose the Paperwhite. I think it will give you everything you want. I'd suggest using airplane mode in order to prolong the battery life. Now, if you load up the Paperwhite before you leave home and you know you won't need to download much or anything during your trip, you shouldn't need to use wireless or 3G very much. However, it's certainly possible that you'll want to add a book while you're gone. If so, you'll have to be in a place (hotel perhaps) that supports wi-fi to do that. If there is a 3G signal but possibly not wi-fi where you're going, then I'd add that 3G option. Another important thing to consider is that Amazon makes their content available in Africa, whatever parts you'll be visiting. If they do not, then you won't be able to download anything new directly to your Kindle anyway. So do your best to load up your Kindle library before you leave. 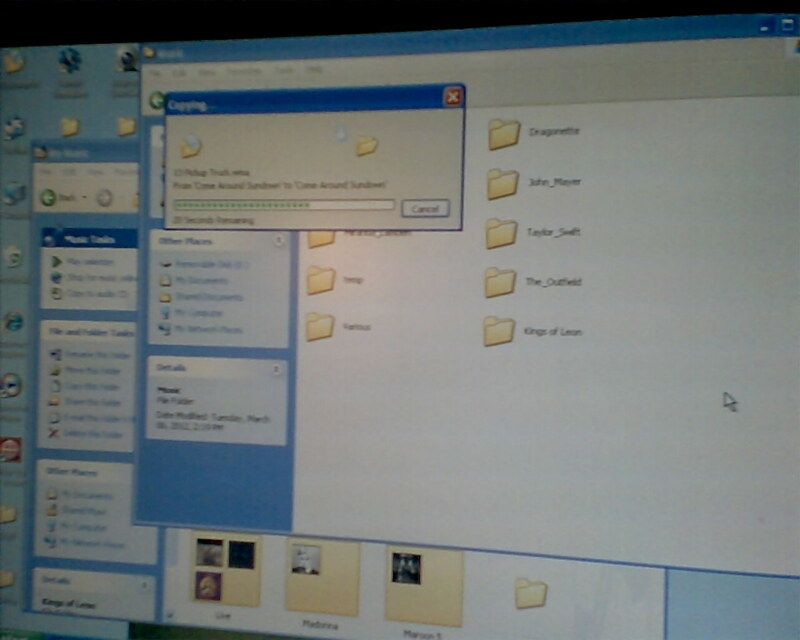 That said, if there will be a computer available and an internet connection, you should be able to download a book to the computer then upload the book from the computer to your Kindle. I hope this information is helpful and I wish you a wonderful trip! 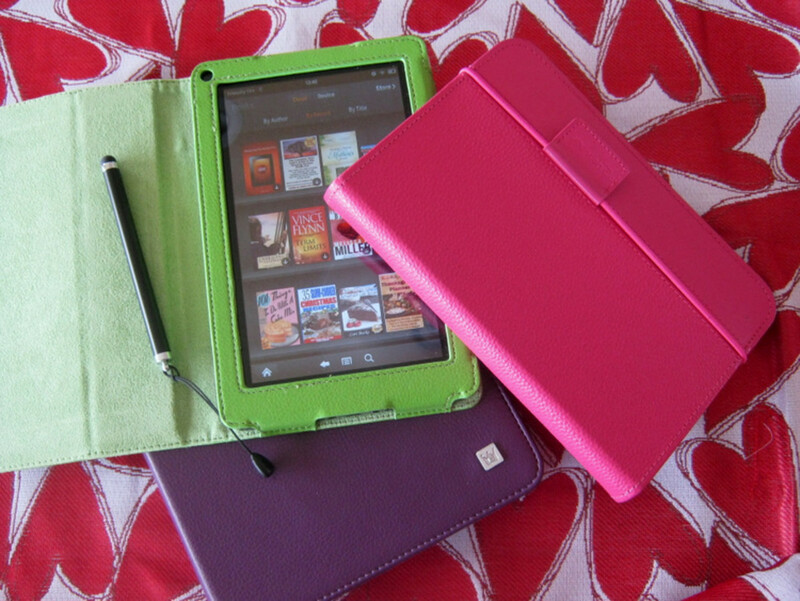 I am totally overwhelmed in trying to work out which Kindle to buy! I just want someone to understand what I want and tell me what to buy!! Could that be you? I am going travelling in Africa, for a long time. Do I want 3G or wireless or both? I want a built in light. I read mostly in bed at night, or in airports or bus stations! So I want that light option that's good for the eyes pre-sleep. I don't want to do anything on it other than read books. I want a clear screen, easy to use Kindle. I want good quality but don't want to pay a fortune. Willing to be in the mid-range market to get good quality but not the high end. Hi John. Frankly, if you go to B&N's site and look at the Nook models there, you'll see just 86 reviews (rates 3.2 stars) for their GlowLight Plus which I would call most comparable to the PaperWhite from Kindle which has 28,879 reviews (rates 4.5 stars). I also see that B&N's tablets are made by Samsung, though you said you're looking for a reader, not a tablet. The volume of sales by Amazon and their excellent reputation for customer service speaks volumes to me, though I'll be honest and say I've never tried a Nook. Amazon also has multiple programs that are a huge advantage, such as the built-ins to GoodReads, Kindle FreeTime, X-Ray, vocabulary builder, etc. I can't imagine that Nook has anything close to those features and others, as well as Amazon's selection of books that you can read for free. As for the formats supported, Kindle supports Kindle Format 8 (AZW3), Kindle (AZW), TXT, PDF, unprotected MOBI, PRC natively; HTML, DOC, DOCX, JPEG, GIF, PNG, BMP through conversion (copied that from the product page). I honestly don't know about the epub format. Obviously I'm biased, but I'd say that Kindle blows Nook out of the water (one cool feature that I'll give them credit for, the Nook reader is waterproof). Hope that helps! Susan, I have a question for you.I am looking at getting a new ereader.either a nook or kindle.Far as you know how is barnes and noble doing in the ereader business and how do they do compared to the kindle?Also I have heard kindle can download out of the pdf format but not the epub format like the nook or kobo,in your opinion does that seem to be much of an issue with the kindle compared to the other ereaders that can? Daniyar, all of the Kindles come with a dictionary! As you're reading, if you come across an unfamiliar word you can touch to highlight it and you'll be given the definition. I'd suggest that you go to the Kindle bookstore and check to see if the books you're going to need for your studies are available in Kindle format. You'll probably find many but not necessarily all. Of course for casual reading, you'll find millions of titles to choose from and I think you'd really enjoy reading on any of the Kindles. As usual, I recommend the Paperwhite because it's very affordable and has the lighted screen so you can read in any lighting situation from dark to bright sunlight. Hope you find exactly what you need! Karen, great questions and thank you for asking! The Paperwhite is very lightweight and should be good for your mom to hold. When I read, I usually hold mine in my open hand, with the cover turned back, gripping it gently on the sides when I have to move it. My hands are fairly small and I have no trouble with that. The brightness is adjustable, as is the text size. She can also adjust the font if she prefers something different, though I think the Bookerly font (default) is very easy to read. She can also set bookmarks to make it easier to go back to spots she might want to reference in her book clubs. I haven't used the more expensive Voyage or Oasis readers so I can't tell you first-hand if there's anything about those that would better suit her. They both have the same ppi as the Paperwhite, so that is good. The more expensive models are lighter, though, about an ounce less for the Voyage and 2.5 less with the Oasis, but that's without the case. The Oasis is self-charging via the (included) self-charging cover, so you'll have to decide if that matters. Overall, I'm extremely happy with my Paperwhite and I can't think of anything that's missing for a senior (I'm a "junior" senior, in my 60s). I'd love to know how she likes the e-reader versus a heavy paper book. I really think she'll love it. Hope this information helps! Great info, thanks! I don't own an e-reader but I want to get one for my 90-year old Mom. You like the Paperwhite but want to be sure it's right for her. She needs something easy to hold (lightweight), bright and still big enough to comfortably read. Mom leads 2 book groups a month and I want to ensure she can easily transport it ( a case is a must). Is there anything else you'd advise for a senior? We'll go out and have her inspect to make sure it's the right one for her. Any other choices for her to consider? Thank you! Great question, Evelyn! Amazon stores all of your books, photos, etc. on their cloud so that it's available across all of your devices. Since the Oasis is a reader, you'll be able to access any of your books at any time to read on the Oasis. You can do that from the Oasis by doing a search for author or title, or you can access your list of books at Amazon.com and load them onto your Oasis from there. It's very easy! Glad you're enjoying your Fire and hope you enjoy your new Oasis reader! Hello, I want to buy an oasis and am using a fire at the moment. What happens to my books and photos and other data when I get the oasis? Thanks for your question, Onza. It's a very good idea to get a case for the Paperwhite or any other reader. I'm not aware of one that you can design yourself (there used to be one, but I haven't been able to locate it). Probably the best case is the one that Amazon makes (it's pricey), but there are plenty of other cases available that fit the Paperwhite well, which is very important. There's a MoKo case that is thin and light, has a magnetic clasp (very convenient), and has excellent customer reviews. The cool thing is that it's available in lots of patterns, so your daughter could choose a really pretty one that she'd like. Best thing is the price, around fifteen dollars. You should find it easily with a search. Hope that helps! Hi,I was going to get my daughter a kindle paper white but would like to get her a case so that she doesn't damage it were you you get cases that you can design yourself? Thank you for your kind words, Wednesday-Elf! Indeed, I do like carrying my whole library with me when I'm away from home! I usually read paper books from my large home collection, but having a Kindle is great when you are away from home or traveling. Thanks for putting so many choices together in one place for easy access and selection. I've done the same thing, Sylvestermouse, reading while connected. An extra-long battery life would be wonderful! That photo showing how thin the Oasis is is pretty amazing, too, and I really like the leather case that actually comes with it, no extra charge. Obviously I could talk about Kindles all day, so I'll stop. :) Really appreciate your visit and your comment! I'll admit it, I wasn't really looking for a new Kindle, but that Oasis is quite a temptation! 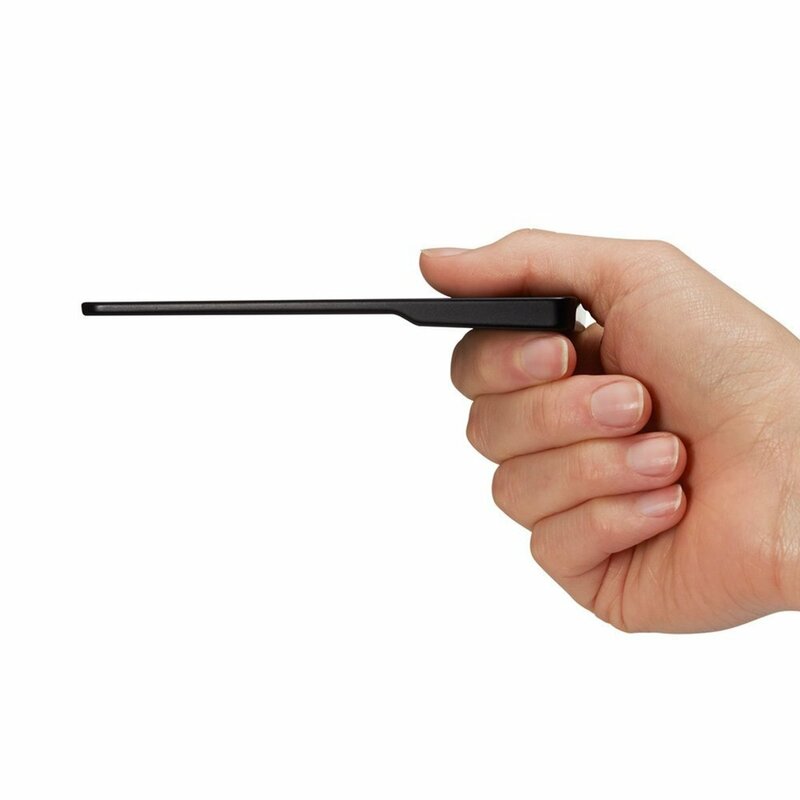 I appreciate that it is thinner, but that was not the feature that grabbed me and held on. Nope, it was that the battery would last for so long. I hate being in the middle of a book and having to charge my Kindle. I end up being "connected" to a wall plug just to keep reading. Jaya, I'm so glad my article answered your Kindle questions! If there's anything else you think of or if I can help in any way, just let me know! Thank you for this informative article on Kindles. I was going to buy one for my friend who is an avid reader. This hub has cleared all my questions! Hi there mars27. Thanks for the great question! Yep, it's easy to become addicted to Amazon Prime and all that goes with it. I stream videos on my Kindle Fire frequently and just love being able to lie in bed and watch a movie up close and personal. As for reading ebooks on the Fire, to me there are two drawbacks. One, you can't see the screen well enough to read outside or in very bright light. Two, the Fire is quite a bit heavier than the Paperwhite reader (the one I currently use for reading) and that makes it harder to read in bed (the weight of it becomes a bit burdensome). However, if you'll be reading indoors on the Fire, and especially if you can prop it up when you do your casual reading, then you should get by quite well reading on the Fire. Since you know that you want to stream movies, then choose your favorite Fire model and give reading on it a try and see how it goes. If you find that you're trying to read in uncomfortable situations, then consider adding a separate Kindle reader. They're all so affordable these days, so much more so than a couple of years ago, that having two devices isn't a huge splurge. I hope that answers your question. I really appreciate your visit and comment and would love to know what you decide and how it works out for you! Hi! I'm planning to get a Kindle Fire later this month. I'm a college student with an Amazon Prime subscription. I love streaming videos and the interne and have always been a loyal Apple fan. Recently, however, I seem to have become an Amazon addict even more so. haha. This will be my first tablet! 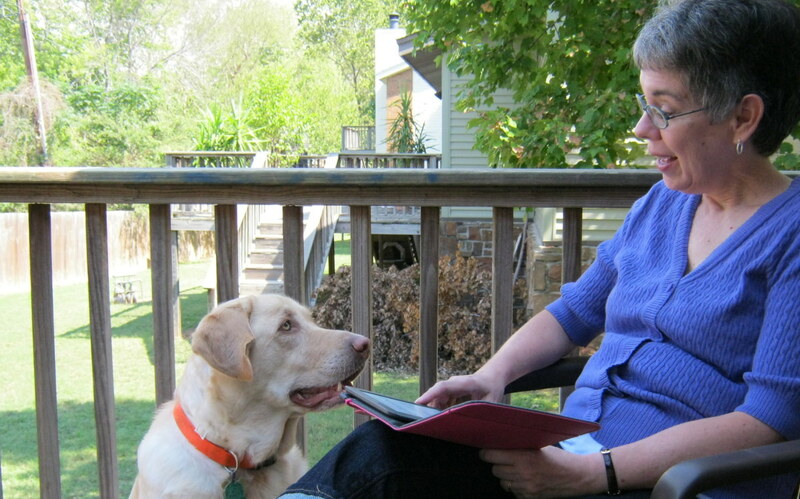 Do you find it difficult to read ebooks on your Kindle Fire? Or do you see an advantage to having two kindles? My Kindle would be used for streaming, but I'd also like to use it for some casual reading of journal articles for my research, as well as for casual reading of books. Thanks for such a great article!! So glad you're enjoying your Paperwhite, healthylife2, and find it user friendly (I agree). Sounds like your husband is a pretty smart cookie. :) Thanks so much for your visit and very kind comments! Thanks for the very comprehensive article on Kindles. It's so nice having so many options but it can also be overwhelming too! I have the Paperwhite because I'm just interested in using mine for reading and I'm not that technical so it's very user friendly. I didn't realize you can design your own cover. My husband kept trying to convince me to buy one and I resisted for a while but now wondered how I ever lived without it. LOL I hope he gets the message, favored! Thanks so much for sharing the link! I'm not sure either, Catherine. Can you take advantage of the Amazon Prime "perks" on your Samsung tablet? If not, that might be something to look into and consider if you decide to shop for a Fire tablet. Thanks so much for your very kind comment! You do an excellent job of presenting the pros and cons of each type of kindle. I'm suing a Samsung tablet with the kindle for android software and it works fine. I might get a kindle in the future tho, but I'm not sure if it offer any advantages over the tablet. Thanks for your input, BarbRad. There are ways to accomplish some of these tasks. For instance, swipe upward on a page and you'll be presented with a "window" from which you can flip through the book's pages for a quick look forward or backward without losing your place. I often do this when, for instance, I'm looking for a previous reference to a character in a novel. The search function is helpful when you're looking for a book but don't remember the title or author, if you remember a keyword that might help you find it. 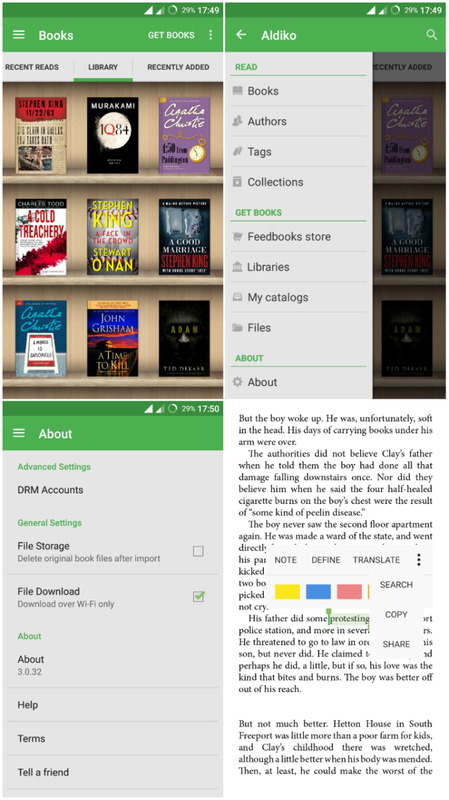 You can also create "collections" on your Paperwhite in which you can file books by type, genre, etc. in order to find them more quickly later. Clearly there are advantages and disadvantages to both electronic and paper books and we each have to decide which works better for us. I really appreciate your feedback! I have the Paperwhite, which is very good in some situations. I don't like how hard it is to find things as compared to being able to flip back through a book's pages. When you bookmark a location, you have to remember the number to find it again if you bookmarked lots of pages. It's hard to search for the book you want to read if you don't already know the title. That makes browsing hard. But if I have to use an E reader, the one I have is probably as good as any. Oh, I'm so jealous, Barbara! :) It's always tempting for me to get the latest version, but this year I haven't bought a new Kindle or Fire tablet. I do love my earlier-version 7-inch Fire, though, and particularly love the size. Great to know you're enjoying yours, and happy that your son has one, too! Thanks for taking time to comment. Thank you, Brite-Ideas! I'd be happy to answer any questions. I do love talking about my Kindle hobby! I got the HDX7 when it was on sale last year and I love it. When it came around recently at 50% off, I grabbed one for my son. 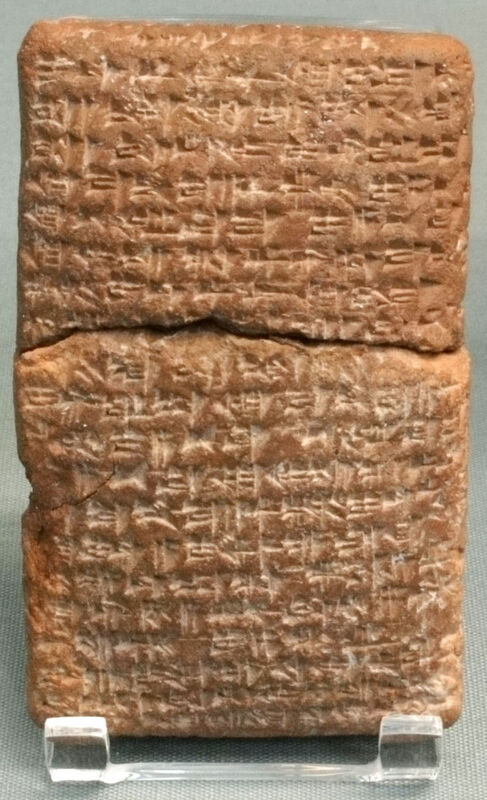 The size is perfect and the text is so easy to read. Hi Brandi. Either of the two you mentioned will do the job, allowing you to read outside without glare and I think you'd be happy with either one. If you want to be able to read in dim light or in the dark though, without a separate reading light, I'd suggest the Paperwhite. It adds a layer of light on top of the page and there is still no glare. In fact, it truly looks like you're reading a real book. For as long as I've had mine, just last night I actually adjusted my position as I read in bed then reached up to turn the page. Guess my brain had a flashback to reading paper books! Enjoy your new Kindle, whichever you choose! Hello, I am interested in buying a Kindle but don't know which one is best for me. I want a kindle which will allow me to download a lot of books but mostly one that will let me read outside in the sun or by the pool side, so which one would be better for that?? A regular Kindle or a Kindle Paper White?? Please help me!! Isn't that awesome, MWSJr? I love that feature, too, especially when I sit outside in bright light. Thanks so much for stopping by and adding to the conversation! I like the Paper white kindle because it is front lit. You can still read it outside and you can read it inside or even in the dark. I have some minor eye issues, smine27, and I can attest to the fact that Kindle really is easier on the eyes. I'm really glad I have both a reader and my Fire tablets. Bet your mini is tons of fun! At the moment I'm pretty satisfied with my ipad mini retina. It's pretty easy on the eyes. Although I do admit, I am intrigued by Kindle. It would be nice to use Kindle just for reading. I have often thought about a Kindle. I would like a tablet that I could do anything with though. Everyone in our family has a Kindle, even the grandkids. We love them! @Mark W Kuglin: How very kind of you! Thanks, and I hope you continue to enjoy your Fire tablet! Great lens. Very informative and well written. I have a kindle fire but if I didn't I would purchase one because of your lens. @KingRezo: I was reading your mind! :) Bet if you tried a Kindle you'd be surprised how much you like it. That said, I'd hate to see the total demise of print books, but I do appreciate the advantages of e-ink and one little tablet to contain my library. :) Thanks so much for your visit and your comment! very well written lens before I even got the ipad part, I was thinking what about an ipad? haha then I find out you were getting to that. I don't know many people that own a kindle I understand the benefits of an e-reader but i'm old fashioned and like paperbacks the feel of the paper is wonderful although not a space saver. @CloudEpic: I appreciate your input and your enthusiasm, cloudepic. Thanks so much for stopping by! @roz1031: I can't tell you how much your feedback means to me, roz1031. Thanks so much for taking the time to come back and leave a comment. I hope your Paperwhite lives a very long and happy life with you! Read your review before upgrading my old Kindle Keyboard to the Paperwhite. Although I am already familiar with the features and offerings at the Kindle store, your comments were VERY helpful. I couldn't decide if I wanted the HD Fire or a Paperwhite but am happy to report that I opted for the Paperwhite and it's turned out to be awesome! I'll keep the old Kindle for my crossword puzzles and word games and as a "loaner" for visitors but, for reading, the Paperwhite is just the best! Crisp, clear, options for font and lighting - all easy to use and housed in a lightweight, portable device that I can carry anywhere. It's really great and I thank you for the review for helping me to make the decision on which one to buy. @gmacor2: Great question! All of your Kindle books and other downloads are stored with Amazon so you can retrieve them if you buy a new Kindle or even to read with a free reading app. You won't lose a thing! What happens to my downloads should my Kindle break? @fadeobaa: You have made my day! I can't tell you how much I appreciate your feedback. I'm glad you were able to go with the HDX model and I hope that it serves you very well for a very long time to come. Thanks again! @SusanDeppner: Hi Susan. I've had my Kindle Fire HDX for just over a month and I am absolutely loving it ð! The picture quality, screen responsiveness to touch and just the all around feel of it is amazing. You were very correct in telling me that upgrading to the latest model was the best option. There is a substantial difference between my Kindle Fire and Kindle Fire HDX - the former is far more glitchy than the latter. I am loving my new baby and I am so grateful for your advice. @EnthusiasmMadame: My pleasure! I've always been a reader and a book person, but I'm totally sold on Kindle at this point. After our house fire, I've only bought a couple of "real" books and four more Kindles/Kindle Fires where I add books regularly. Plus, I read more now than I have in years and years! I'd love if you come back and let me know when you take the e-reader plunge! I have definitely got to bookmark this! I have been debating about what type of "new gadget" to get. I LOVE my books, but it would be so much easier to have something compact and lightweight for travel. Thank you for sharing the information on the various products. Thanks for all the useful information. Maybe I should reconsider the possibility of buying a Kindle. @fadeobaa: Awesome news! I'll be looking forward to your feedback. Good you took advantage of that sale because it didn't last long! Thanks so much for letting me know. @SusanDeppner: Thanks for the advice. On Wednesday 16 April, while I was still contemplating what to do, I saw on amazon.com that there was a discount of $30 on Kindle Fires. Lol so I couldn't wait and decided to buy the Kindle Fire HDX 7" 16GB for $199. This also aligns with your advice to get the latest model technology wise. I'm having it shipped to a friend's sister-in-law who is coming to Zimbabwe, where I am, in early May. I can't wait. Once I've gotten it and have played around with it I'll let you know how I'm finding it. Thanks. @Scindhia H: I appreciate that, Scindhia! The information is just awesome. Great guide! @fadeobaa: Honestly, I haven't even used Skype. But the advice I'd give you is to buy the most your pocketbook can handle. I have a 1st generation Kindle HD with the big screen and it's great, but if money were no object I'd upgrade to the current version. Why? Because I also have the 1st generation Kindle Fire and, even though it's also wonderful, the newer HD is faster. The HDX would be faster still. Amazing that we get used to improvements and on a scale of fast, faster, or fastest, if you're used to fastest you won't want to ever go back to just fast. Perhaps someone else will see your question and address the camera issue. Thanks for taking the time to ask! Thanks for the great write up. Here is my story. I own two kindles, that is a Kindle Touch which my sister now uses, and Kindle Fire (1st generation 8GB) which I use. I would like to upgrade to a kindle with a a bigger memory but I'm confused about which one to get. I want a Kindle Fire HD, even though I live outside the US and don't get access to amazon prime video streaming. The 2013 Kindle Fire HD 7" 16GB comes in at $169 but has no camera. The 2012 Kindle Fire 16GB model which has a front facing camera (which would help for skype calls) is listed at $199 while the 2013 Kindle HDX 16GB, which also has a front facing camera, costs $229. The 2012 model appeals to me because of the price and the camera. My questions are a) does anyone have either of the last two mentioned models and is the camera good enough for skype or one just sticks to their PC or laptop? If its not so good do I just go for the Kindle Fire HD 2013 model? Your recommendations and thoughts are welcome.